BitTorrent is a peer to peer protocol for sharing files. There are many local clients that allow you to download files via torrents. However, there are times where you may need to download them over the web because you can’t use a local torrent client. cloud-torrent is a web based torrent-client. It allows you to search torrent trackers, add torrent files and magnet links, and download them on your computer. 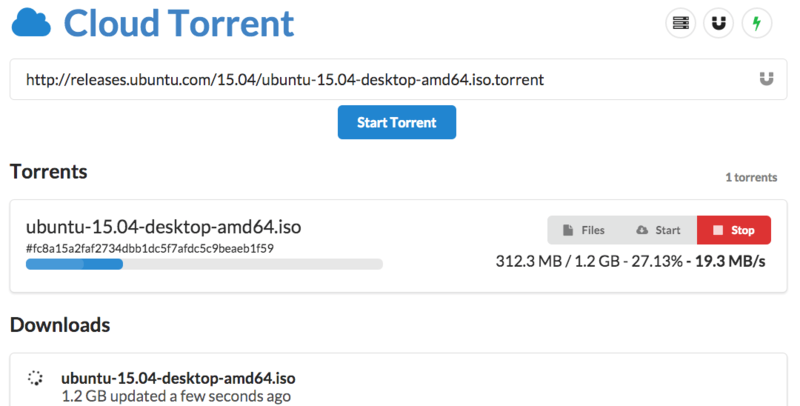 In this article we will look at installing cloud-torrent on a server running Linux. You can even run it on your own computer if it is publicly accessible with an IP address. A word of caution though: if you’re planning to run torrent applications on your server, you may want to confirm whether your provider allows this. You’re not blocking traffic on port 3000 – you need to change your firewall configuration in that case. The port number must be anywhere between 1025 and 65535. To stop cloud-torrent, simply press Ctrl+C. While cloud-torrent is already working, you probably want it to be started automatically on system startup like a regular system service. You can do this quite easily. First, you need to set up a separate user for cloud-torrent to run. While it is not strictly necessary to do so, it is generally recommended for better security. Next, you have to move the cloud-torrent binary to the home directory of the new user. If the output is upstart or sysvinit, you should use the instructions for sysvinit. If the output is systemd, you should use the systemd instructions. If you need to use a different port, you need to put in ExecStart=/home/cloud-torrent/cloud-torrent -p <port_number> instead. -d "/home/$DAEMONUSER" --background --chuid "$DAEMONUSER" --oknodo --exec "$DAEMON"
echo "$NAME process is dead, but pidfile exists"
If you have followed the steps above, cloud-torrent should be up and running! You can visit http://<your_server_IP>:3000/ to verify this. Now, you can download torrents by pasting magnet links or torrent file links in the text box. 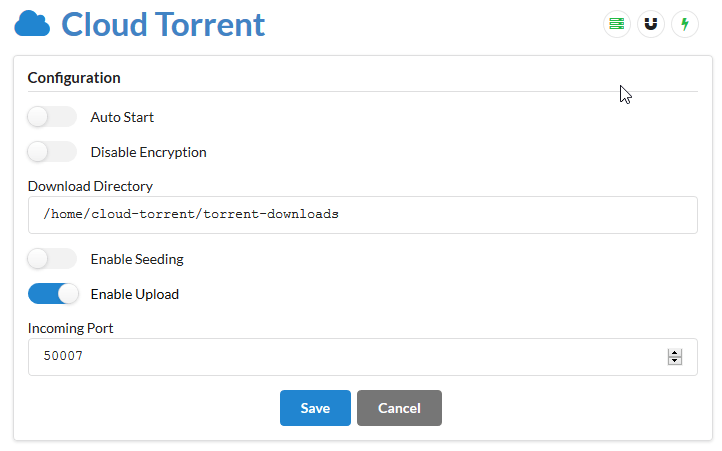 In addition, you can enter a search term to search for torrents on common torrenting websites. The current setup has a problem — anyone who visits it can use it. You can prevent this by setting a password by specifying an environment variable named AUTH. To protect your privacy, you may want to configure HTTPS on cloud-torrent. First, you need to obtain a certificate. If you don’t have one, you can obtain one through Let’s Encrypt. In the segments below, you should replace /path/to/key.pem and /path/to/cert.pem with the correct paths. If you’re using Let’s Encrypt, you can find these files under the /etc/letsencrypt directory. After making these changes, restart the cloud-torrent service as described above. At this point, cloud-torrent should be set up over HTTPS. For more configurable options, be sure to check out the --help switch.